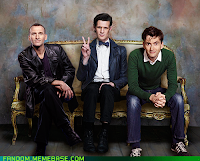 So I have been watching Doctor Who for a litle over a year now. At first it was a little hard to get into, but once I got past the first hump that was the first ten minutes of "Rose." I became completley enthralled in the show. So my first doctor was the 9th doctor, Christopher Eccleston. And I was disappointed. (I was promised David Tennant, long story) He didn't really do it for me at first. I had to really muddle through the entire first series. 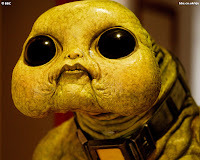 That plus the Slitheen was not a great combination to get me into the show. And then came "The Parting of the ways." I watched, not knowing a thing about regeneration. (I made it a point not to go onto the internet an research it too much. My friend kept saying the word "regeneration" and it meant nothing to me.) 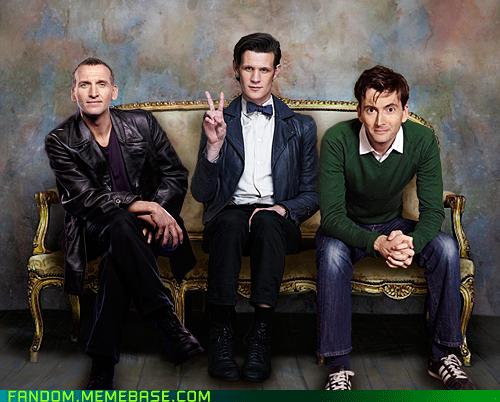 So at the end of the episode, when we see Eccleston turn into David Tennant, I was very excited. Now this is what I wanted the Doctor to look like. Slightly geeky, with a large smile and fabulous hair. Series 2-4 went by in the blink of an eye (haha, get it) Next thing I knew, I was watching "The End of Time" and sobbing at my tv. I wasn't ready for David to go! And who was this Matt Smith guy anyway? There was no way he could ever be as good as David! Who is this new guy? That seems like a lifetime ago. So much has happened since then. 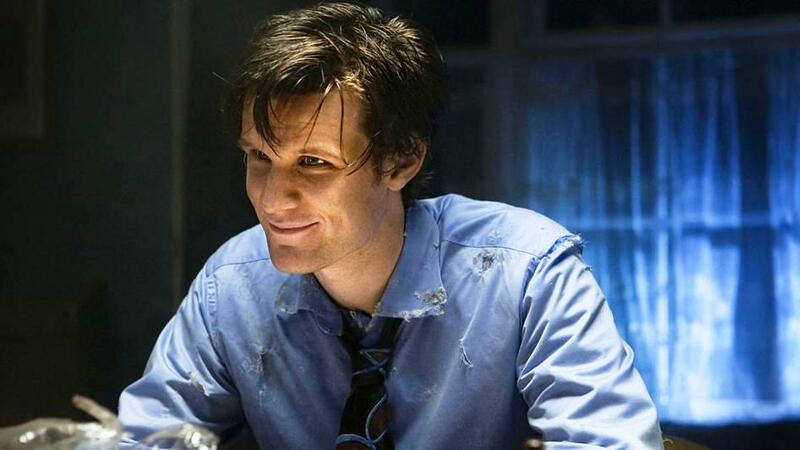 I have really enjoyed Matt's run as the Doctor and I am very sad for him to go. But at the same time, I am excited. The speculation has been very exciting and it just makes me that much more excited to be a part of this! But who is my Doctor? That is such a hard question for me. A part of me just wants to say Eccleston because he was my first Doctor, but I never really felt a connection to him. He was hard to watch. Not to say that I don't love him! I swear I do! I recently re-watched series 1 a few weeks ago and I adored it! Even the Slitheen! But part of me wants to say Tennant because he is the easiest answer. He was brilliant and "Midnight" is my favorite episode to date. But Tennant had a human quality to him that I just don't want my Doctor to have. He needed to be more alien and a little "off"
So what about Mat Smith then? This is what I want my Doctor to be, and this is what I want my Doctor to be like. But really, all of them are my Doctors. Each of the actors bring something unique to the role and it continues to grow. The constant changing of the Doctor is what makes the character great and so iconic, and why Doctor Who is continuing to run, 50 years later.